Gone are the days when salwar kameez were confined to the northern part of India. Today its charm has taken a toll over the women from all corners of the world. Among all the fabrics used for making this beautiful attire, salwar kameez made out of Banarasi silk fabric is the most sought after and rightly so. Banarasi Silk Fabric has it origin in city of Varanasi, India and gets a special mention in Buddhist scriptures and Mahabharata. It has its root seeped deep into the cultural history of India. If you go by the legend, it is to be believed that originally real silver and gold thread were used for its crafting. Though the crafting process and threads have differed over the years, the core Banarasi silk fabric remains same with touch of royal feel at its every corner. At BigBindi, we are proud to showcase huge collection of traditional Banarasi Salwar kameez crafted out of best quality of silk fabric. 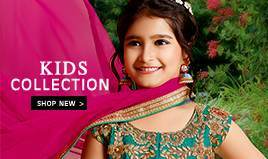 It is perfect attire for every festival like Diwali and Eid. 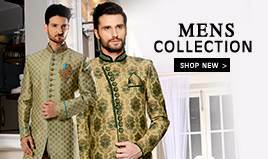 You can also wear it to marriage ceremonies and family functions. Honeysuckle, orange, red are some of the most sought after colour these days. 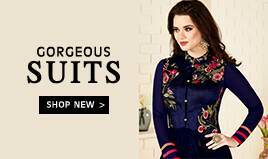 You will find suits in Indo western style, Abaya style and many more patterns and styles designed by best Indian ethnic wear designers or you can opt for salwar suit with traditional Zari Embroidery work. 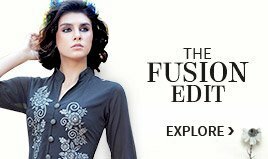 To suit all your needs and desires, we also provide semi-stitched and unstitched salwar kameez. You can choose the design and pattern that suits you best, and leave us with our measurements. 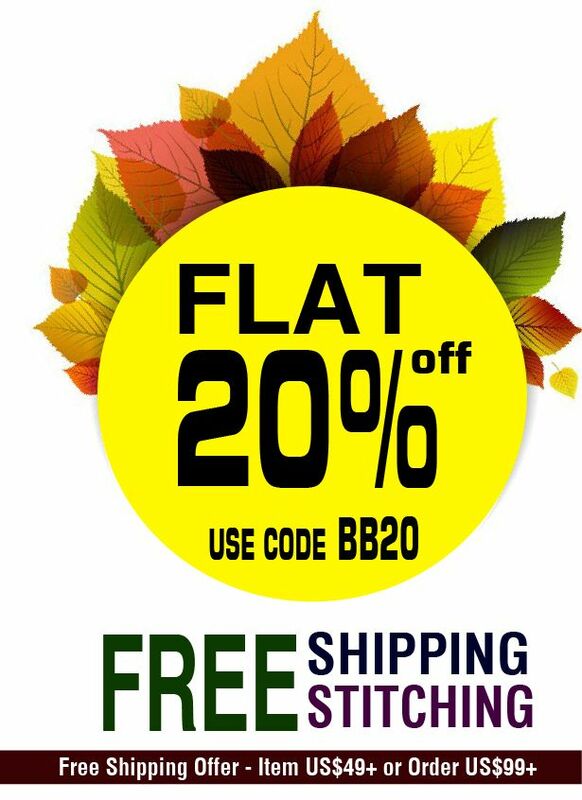 Our skilled crafters of salwar kameez will take care of the rest, hand stitching it precisely as per your measurements. 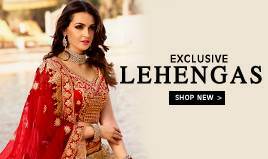 If you consider yourself to be slender, you are absolutely going to love flaunting your curves and looks in body hugging versions of Banarasi Salwar Kameez.